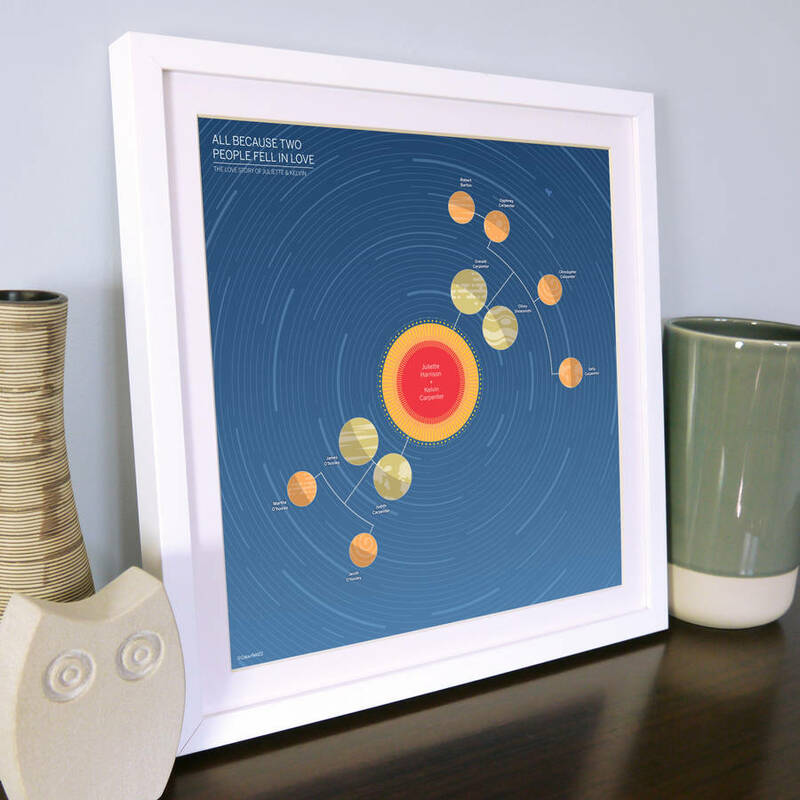 Transform three generations of your family tree into a celestial work of art with this personalised solar system family tree print. 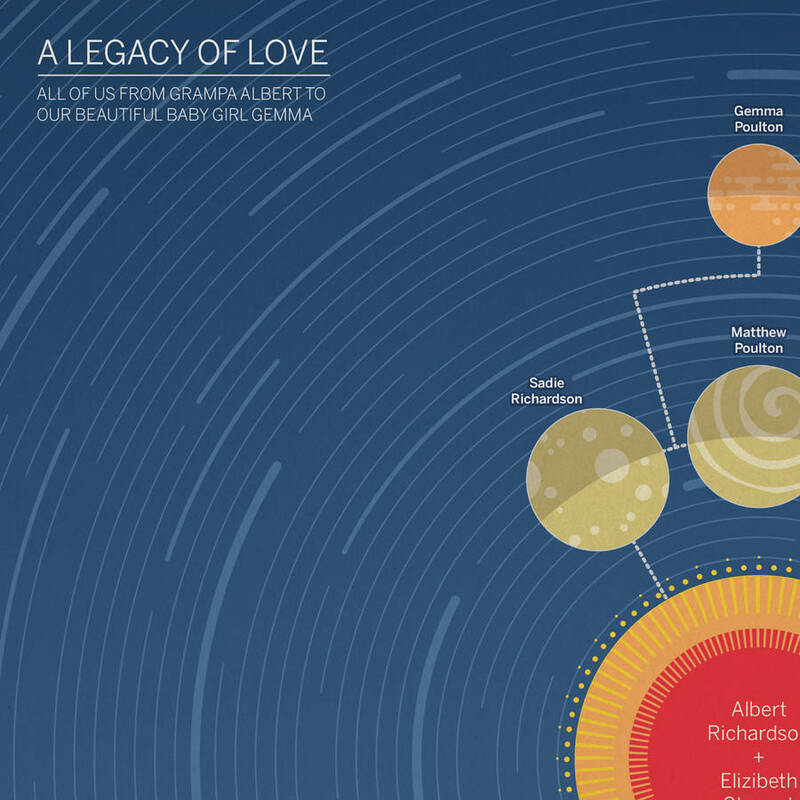 Museum-quality, this Giclée print represent three generations of your family tree, starting with one couple as the central sun, and then from children through to grandchildren. Our beautiful genealogy art Solar System prints are also available in four generation (http://bit.ly/2cLwfjh) and five generation versions (http://bit.ly/2d2jUt2). 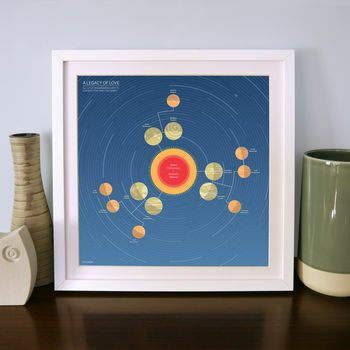 The perfect present for friends, parents and grandparents our solar system personalised family tree print makes a wonderful gift for birthdays, weddings, Father's Day, Mother's Day, anniversaries, Christmas or even to celebrate the birth of a new baby. Extra personalisation can be added with a title of up to ten words, and secondary caption of up to twenty words. These are tailored by us to fit. Shorter is better we think but it’s up to you! 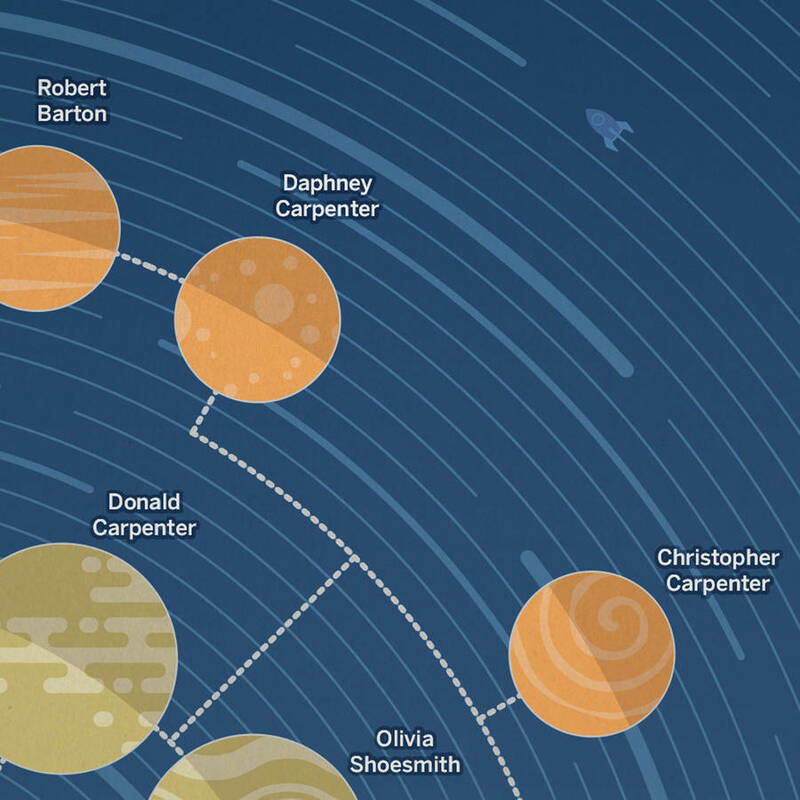 We’ve made providing your family tree information to us as simple as possible. Upon purchase we’ll send you a simple family tree Word template document with clear instructions on what to fill in and where. Once you have filled this in go to ‘my orders’ on your notonthehighstreet.com account, click ‘order enquiry’ then attach your saved Word file. We’ll do the rest! Got a question about this product? Simply get in touch via the ‘ask seller a question’ button at the top of this page and we will do everything we can to make your purchase perfect. Hahnemuhle Photorag paper (308gsm). A heavy-duty matt paper made of 100% acid-free cotton rag. A subtle fibrous finish and understated colours gives our prints an organic look and feel, with an impressive colour gamut and vividness that lasts 200 years. 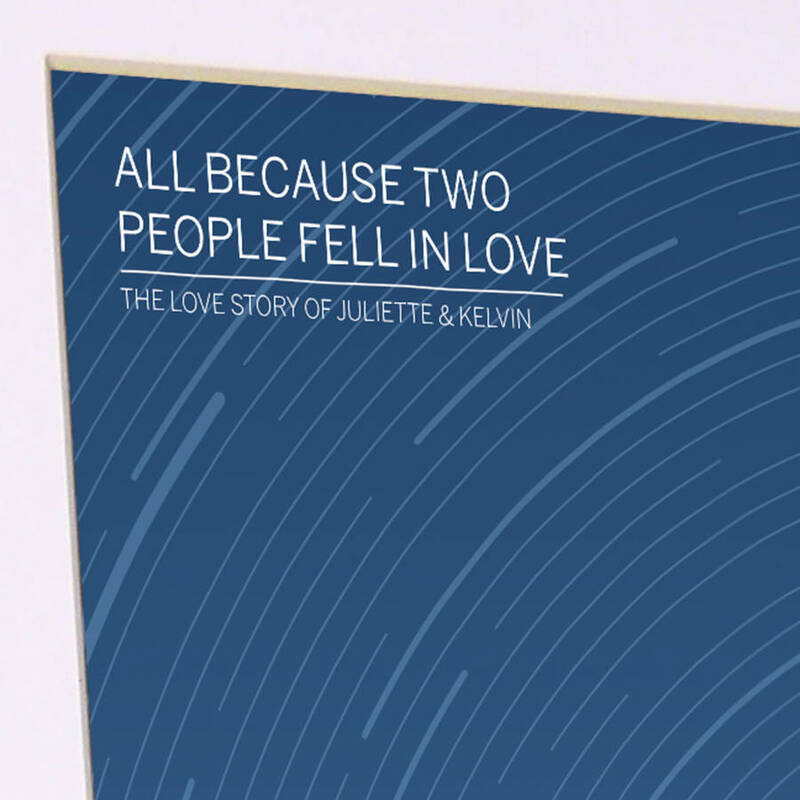 We print your image at 1440 dpi, with 8 passes, using a 10-colour archival quality pigment ink system. Our Three generation Family Tree Solar Systems are 30 x 30cm. We will supply a proof of your print for you to check, please be aware that we will be uploading this to your account on the notonthehighstreet.com website, and you will be sent a message to inform you it is there. If you haven’t received anything within 48 hours, please check your junk mail. If we haven’t heard from you after 5 days, we will send your order. This product is dispatched to you by Colourfield Twenty Two.